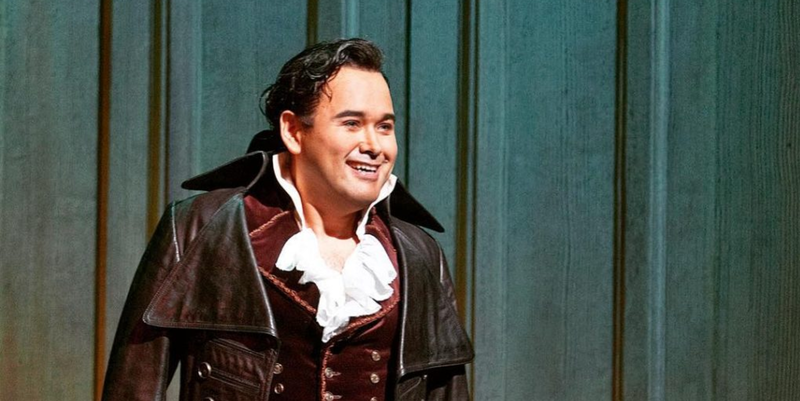 Javier Camarena shares a preview of the 2018-19 season, beginning with a recital at the Festival Castell Peralada on July 27, followed by two performances of Les pêcheurs de perles alongside Aida Garifullina and Placido Domingo and (August 23, 26). Camarena then returns to his homeland with a concert with the Orquesta Sinfónica de Minería in Mexico City on September 9. The Mexican tenor begins the fall in Barcelona for a run of Bellini’s I puritani at the Gran Teatre del Liceu (October 5, 8, 11, 14, 19). The production also features Gianfranco Montresor, Marko Mimica, Mariusz Kwiecien, Emmanuel Faraldo, Lidia Vinyes-Curtis, and Pretty Yende. Following his turn in Spain, Camarena reunites with Pretty Yende for Les pêcheurs de perles under the baton of Emmanuel Villaume also featuring Mariusz Kwiecien, and Nicholas Testé (November 14, 17, 20, 24, 28; December 1, 8). Further performances include concert performances on December 14 in Pamplona and 19 at the Opernhaus Zürich, La fille du régiment at the Metropolitan Opera, Don Pasquale at Paris Opera, Les pêcheurs de perles in Bilbao, Lucia di Lammermoor in Munich, and La fille du régiment in London.